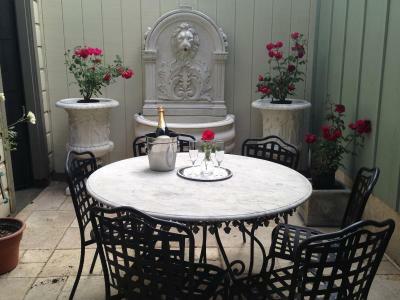 This hotel is quaint and charming. The beds were comfortable. We weren’t looking for a spa, just something nice right in town. Great shopping right outside the door and easy walk to lots of great stuff downtown. Breakfast was light, but tasty and filling. I had hard boiled eggs, cinnamon toast & jam, and tea. Loved it! 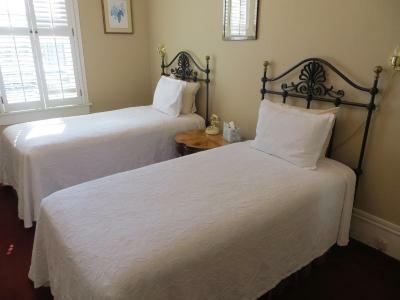 Great convenient location right on the main street, & yet the room was towards the rear & avoided traffic noise. Nancy the front desk clerk was very nice and friendly! The location of hotel is great! I’ve never stayed in such an unclean hotel in my life. 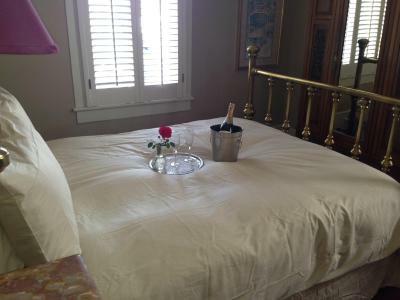 I paid above $400 and there was a half drank bottle of red wine under the sink, the glasses by the sink were filthy, the bed sheets had not been washed. Awful experience! 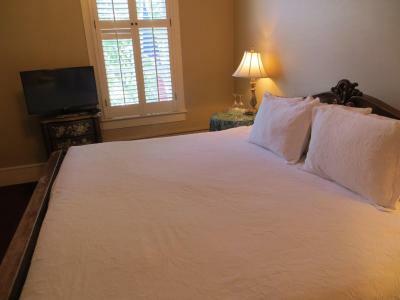 Comfortable bed, cool a/c (very important), nice shower, capacious lounge upstairs and downstairs, delicious breakfast Saturday morning (I stayed Thursday and Friday), nice location, convenient parking, and yes, I would stay again. Breakfast was simple and easy to self serve. The stay was very comfortable and had everything you need for a standard hotel stay. Check in was easy and when you arrive, the hotel has a very vintage feel. No elevator was not a problem for us, and it was fun using a hard key instead of a key card like all other hotels. 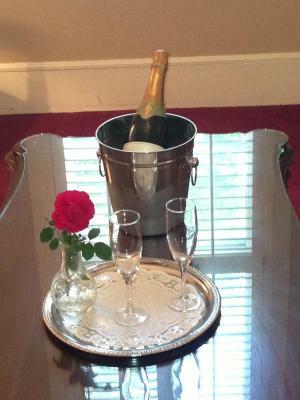 Staff was incredibly friendly, hotel is quaint and in a great location. 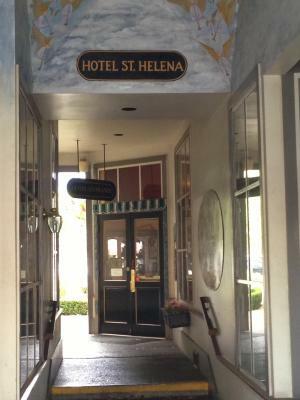 "Hotel St. Helena" 4/5 Stars This hotel is a very unique Napa Valley experience. It is historic and full of charm. 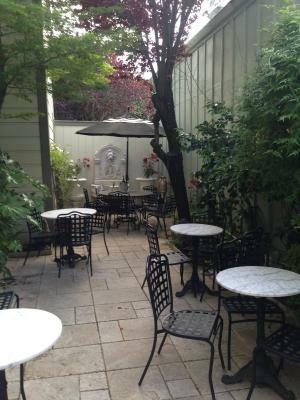 Located right in downtown St. Helena among wine bars and art galleries. For us, the price, location, and historic experience meant it was still worth it! Friendly staff too, Robin was delightful and informed us of some local activities. Definitely recommend! Hotel St. Helena This rating is a reflection of how the property compares to the industry standard when it comes to price, facilities and services available. It's based on a self-evaluation by the property. Use this rating to help choose your stay! 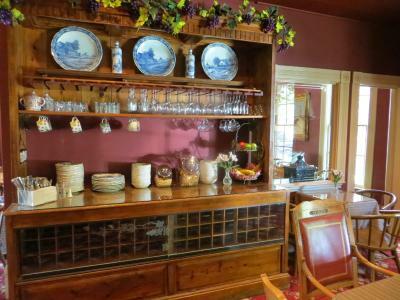 This European-style boutique hotel is located in the heart of St. Helena, on Main Street, and serves a daily continental breakfast from March through October. 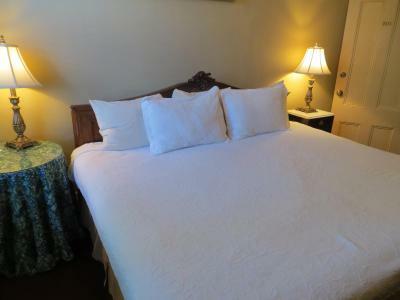 Guest rooms are furnished with antique décor. 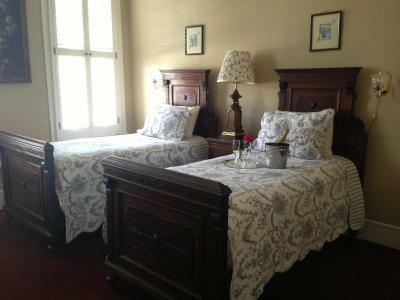 All Victorian-styled guest rooms are equipped with free toiletries and all offer cable TV at Hotel St. Helena. Free WiFi is available. 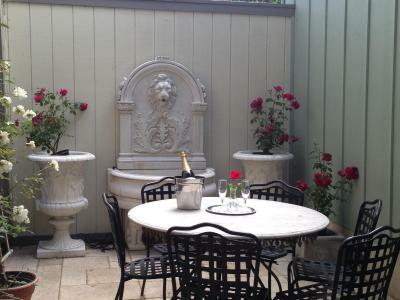 The St. Helena Hotel features a garden and bar with Champagne and Wine service. 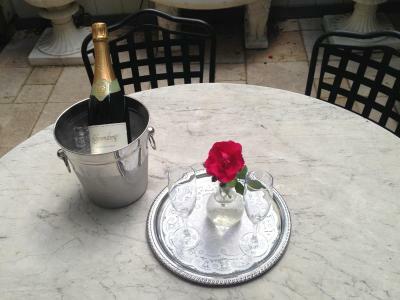 The concierge service on site can assist guests with tours to the many world class wineries located close to the hotel, dinner reservations at several 5 star restaurants in the area, or other events offered in Napa Valley. 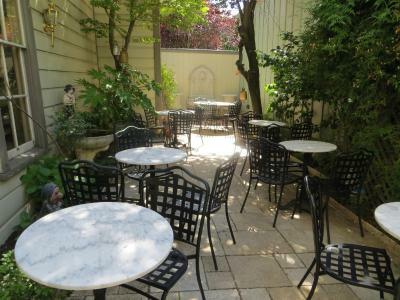 The French Laundry is 15 minutes’ drive from the hotel, and the Culinary Institute of America is 1 miles away. Robert Mondavi Winery is less than 10 minutes’ drive from the property, and Beringer Winery is 15 minutes' walk away. 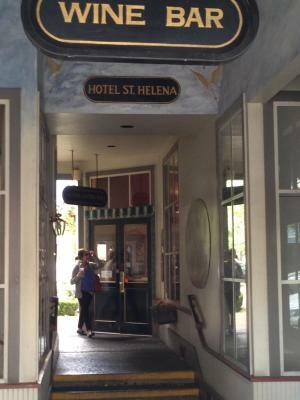 When would you like to stay at Hotel St. Helena? 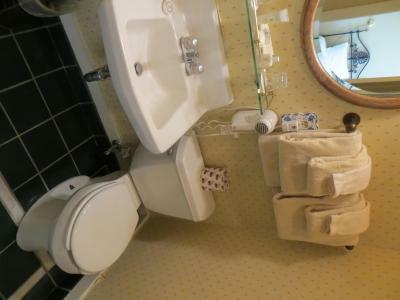 Complimentary toiletries are provided in a shared bathroom across the hall from this room. A view of the grounds is featured in this room. Free toiletries and cable TV is also featured. 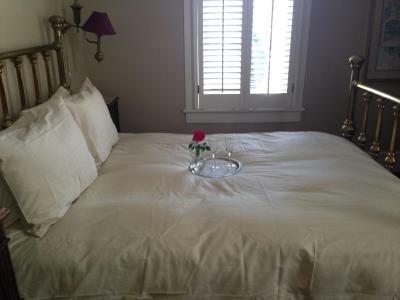 This room has views of the grounds and historic Main Street. 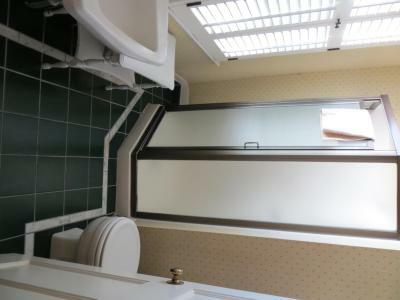 It also features a cable TV. 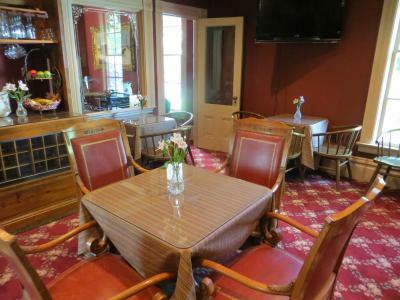 A view of the grounds and historic Main Street is featured in this room. Free toiletries and a cable TV are provided. 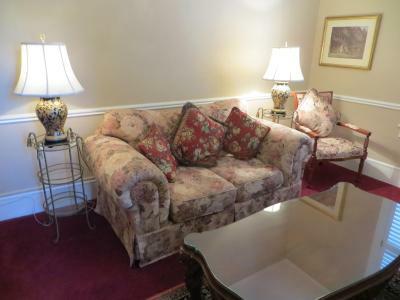 This suite features a separate sitting area and views of historic Main Street. 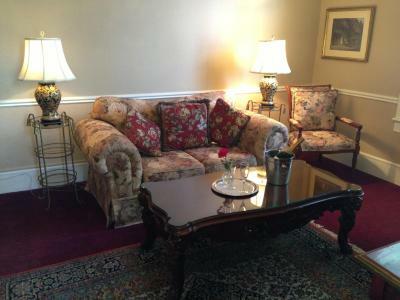 A cable TV and free toiletries are featured in this room. 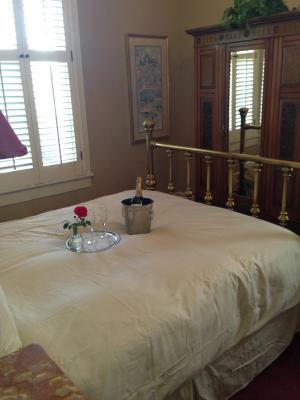 House Rules Hotel St. Helena takes special requests – add in the next step! Any additional children or adults are charged USD 25 per person per night when using existing beds. One older child or adult is charged USD 30 per person per night in an extra bed. 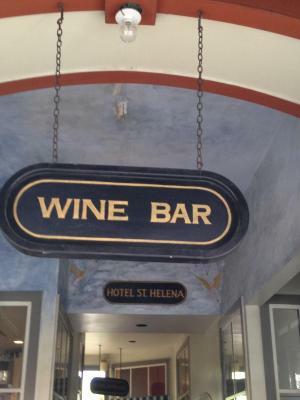 Hotel St. Helena accepts these cards and reserves the right to temporarily hold an amount prior to arrival. Please note: The hotel does not provide breakfast from Sunday through Thursday until 1 March 2016. The mattress was shoddy, I killed a bug in the bathroom, and there were no hangars, only pegs, in the room for my clothing. The location was great and the woman at the front desk was friendly. The place felt grimy and dank. Woodwork/carpets were dirty. My room was tiny. The electrics looked shoddy and worrying. The place needs closing down and a $10m upgrade. I was the ONLY GUEST! Why? Bed fine comfortable and clean. 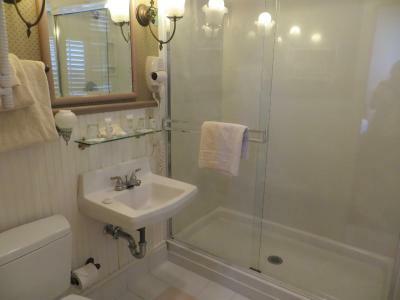 Bathroom (shared) clean shower good and simple. The room. The pillows. The price. The view. The lack of ammenities. I didn't realize how small the room was. It's slightly larger than the Queen Size bed. No view. 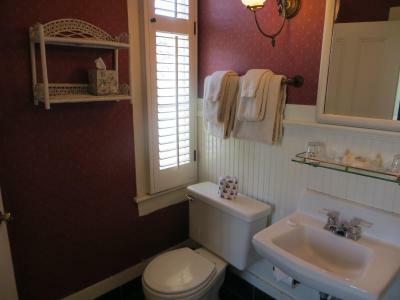 Cramped, and OLD without it being quaint. 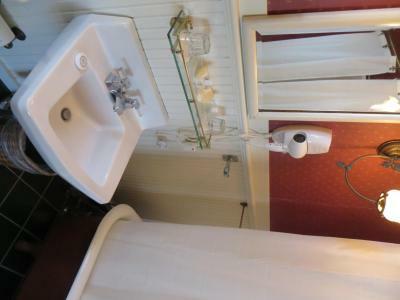 The separate bathrooms were not that big of a deal, but for the rate paid, a room with its own private bath is necessary. 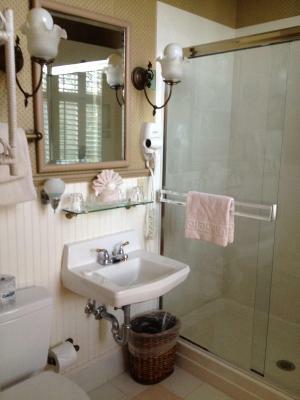 I would recommend a renovation asap, as its just old, but does not pull off an aesthetically vintage feel. 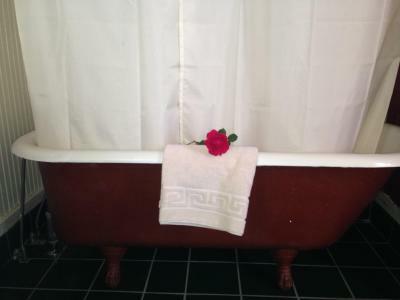 It is like you stayed at grandmas house who never changed anything in almost a hundred years. I wouldn't recommend nor will I stay there again. Very poor amenities, no internet or coffee service. Street noise was loud. Very expensive for less than a 24 hour stay. Great location. 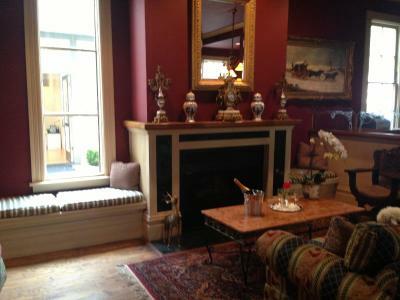 Very quaint and old hotel. Friendly and helpful staff. No one at he desk until 11:00 AM, then they leave around 6:00. No coffee or ice when rhey are not rhere. Very small cheap tv. Bed was very hard and uncomfotable, no closet, the frunishings where old and falling apart. We never saw a staff person the entire time we were there. They left the key under a mat and no one ever showed up the entire time we were there, and I think we may have been the only guests too. The bed was uncomfortable & super bouncy so ever time one of us moved it would disturb the other. The room was quite small, without a coffee service, and in the past there was coffee in the lobby, but this time it was all locked up. Hostess didn’t open up the lobby until very late morning, I think it was 11am. Therefore if you need anything you need to ask for it at the time of check in. No complimentary coffee served in the morning. Free WiFi wasn’t made clear to us when we checked in and when I went to use the WiFi it asked for a password which was no where to be found in the room. Our room didn’t have a trash can, otherwise had everything we needed. 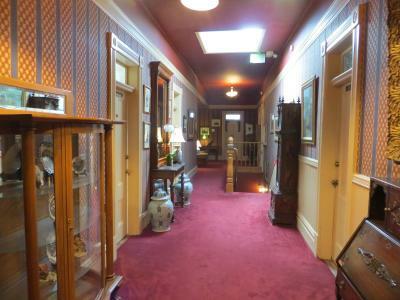 Historic hotel, great character. 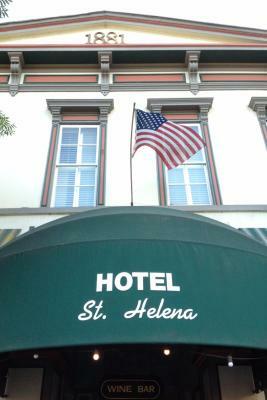 Great location in the heart of downtown St. Helena. Hostess is friendly. Had to share a bathroom down the hall, the room was hot (fortunately we could open the window). Noisy thanks to the traffic and woo girls parading the alley outside the window at 2 in the morning, the flood light in the alley glared into the room. Had to wait on staff to show up to check out. Very loud guests in the common areas after 10 pm. Constant thumping of loud base from who knows where until 1 am. The location is nice and parking was good. You open the door and walk right into the bed and that was it. Room so small you can’t move around in it. Front desk staff super nice. 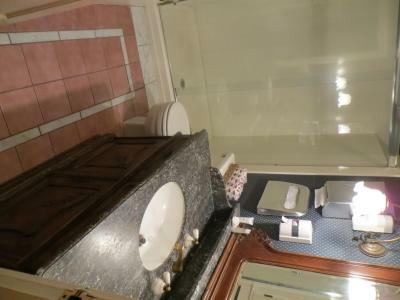 Location right in downtown. 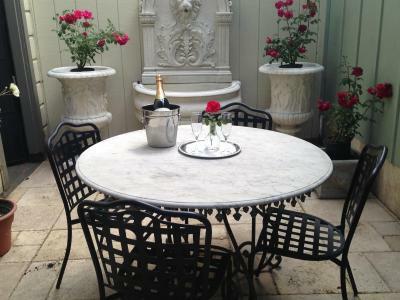 But room could be much bigger for the expensive price. Won’t stay here again.felt like i was staying in a room at someone’s house. The bathroom door hit into the toilet. Lol doesn’t serve any breakfast.